You can create the audience that I’ve mentioned above + the standard events – if you installed Facebook Pixel on your website. Custom Audiences are very important when targeting valuable audiences. 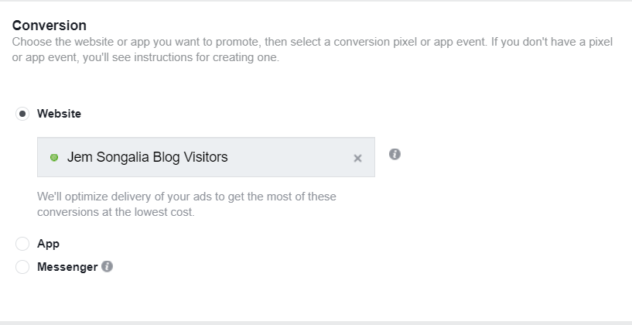 Like what I’ve said above, Facebook Pixels records your visitors behavior. If you want to track specific action that your visitor does on your website like when people view a product, add a product to a shopping cart or make a purchase – you can use it for your targeting. And you can use this data for retargeting later. 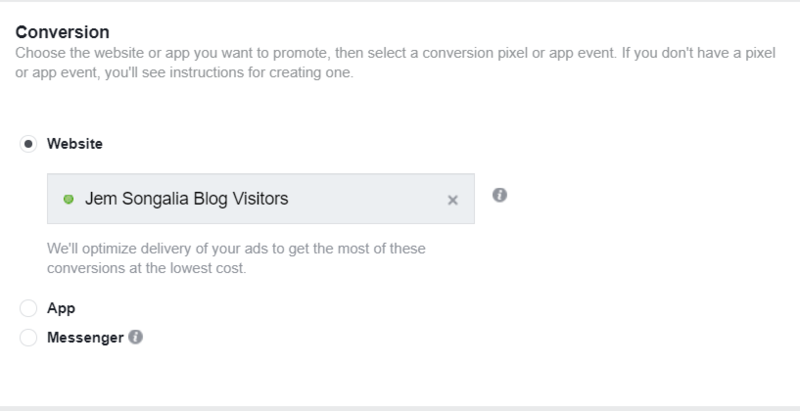 When you create an ad, and your ad is for conversion, you would want Facebook to optimize your ad for a conversion. 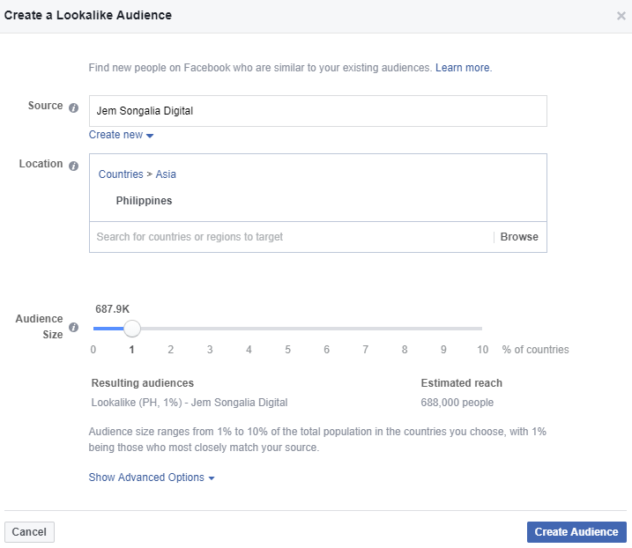 This means that Facebook will automatically deliver your ads to people who are most likely to convert. Facebook determines people who are converters vs engagers only. So having this Optimization for Conversion, Facebook will help to spend your budget more efficiently. Lookalike audiences are the people who look like your current customers. This is a way to reach new people who are likely to be interested in your business because they’re similar to your existing customer. You can create lookalike audience up to 10% range. The higher the percentage means the most they’re far more of your audience. So I would suggest to just use the 1% first and then up to 3%. But you can still test and look what works for you. 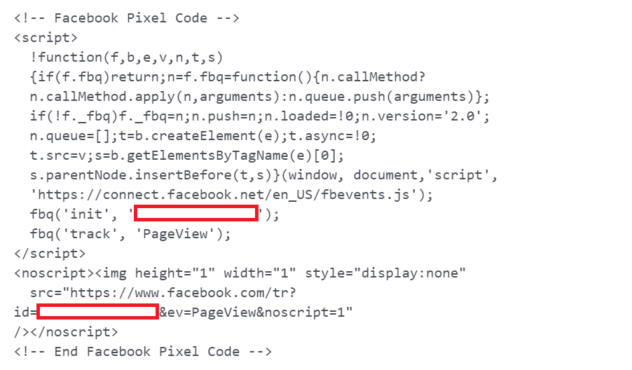 The bottom line is this: If you don’t have the Facebook pixel on your website, you can’t measure anything. You will not know your ads results, you can’t optimize for any result that you want, and I’m not sure if you’ll succeed in your ad. So… if you want success, I’ll highly SUGGEST to install Facebook pixel on your website. If you need any help with that, don’t hesitate to contact me. 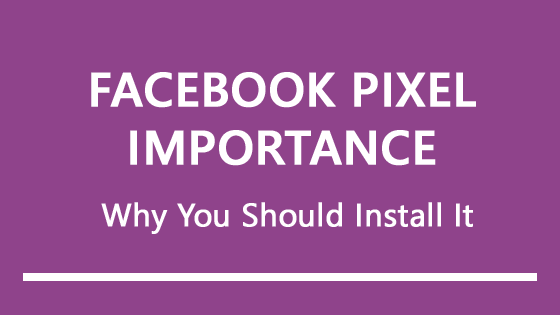 Now your turn, why do you think Facebook Pixel is important?